Latvian authorities have blocked Russia’s pro-Kremlin Sputnik news site from operating within the .lv domain, calling the site a “propaganda tool”. The site was launched on 12 February to reach out to Latvia's Russian-speaking minority, offering articles in both Russian and Latvian. “We don't regard Sputnik as a credible media source but as something else: a propaganda tool,” said Latvian Foreign Ministry spokesman Raimonds Jansons in a statement to AFP. According to Sputnik, the news agency received a letter from the domain name registrar following a request from the Latvian Foreign Ministry to the registry, voicing concern about Sputnik's coverage of Ukraine and possible threat to the nation's territorial integrity. 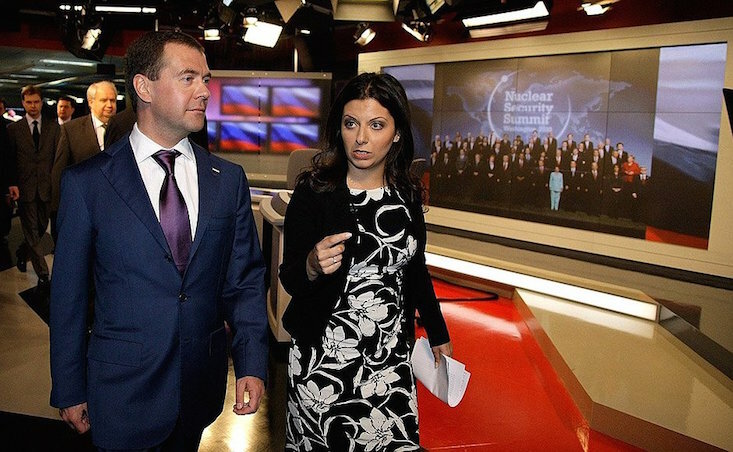 The move has been disputed by the agency's editor-in-chief, Margarita Simonyan, as a violation of press freedom. Ms Simonyan argues that Sputnik’s Latvian site did not violate any clause of current Latvian or EU legislation. In addition, Russia's Foreign Ministry dubbed the decision “blatant censorship” and affirmed that “the Russian mass media adheres to the highest standards of professionalism and ethics”. In August 2015 Russian news agency Rossiya Segodnya was refused permission to establish an outlet in Latvia.